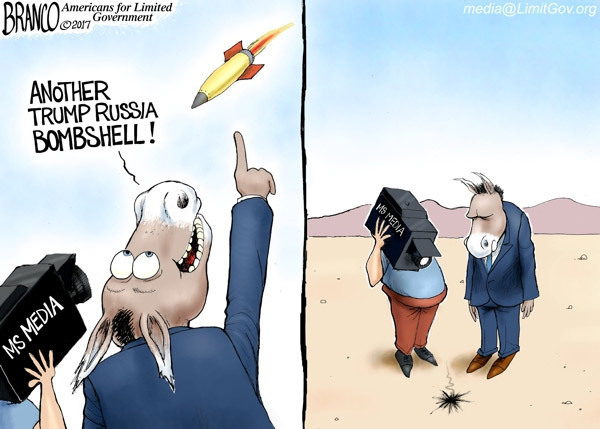 While most Americans likely completely missed it, several bombshell 'conspiracy theories' have been confirmed as true over the last few days that should help to clarify where America has been and where we're going despite the intentionally 'muckied waters'. The hugely overlooked story from Glenn Greenwald over at The Intercept on July 17th reported "one of the most under-discussed yet consequential changes in the American political landscape is the reunion between the Democratic Party and the country’s most extreme and discredited neocons." Long argued by independent news writers and readers that there was very little difference between the two, we read they're now 'getting back together' in the 'age of President Trump'. While the rise of Donald Trump, whom neocons loathe, has accelerated this realignment, it began long before the ascension of Trump and is driven by far more common beliefs than contempt for the current president. A newly formed and, by all appearances, well-funded national security advocacy group, devoted to more hawkish U.S. policies toward Russia and other adversaries, provides the most vivid evidence yet of this alliance. While the msm continues to destroy itself by claiming every Russian 'nothing burger' is 'the end of the world' for President Trump, we also see what many have long called 'fake news' being confirmed before our eyes with President Trump's decision to end the US's support of Syrian rebels as reported by the Washington Examiner. While it had long been confirmed that Obama was arming the so-called 'moderate' rebels in Syria, it was lost on many that in so doing, he was also putting weapons and money into the hands of ISIS and the same terrorists who've declared their intentions to slaughter Americans. As we'd argued time and again, if Obama would simply stop arming them, so much death and destruction could be avoided in Syria and across the world. Many argued the program didn't even exist. Fake news some called it. We hear more about Trump's decision to stop arming the so-called 'moderate' rebels in the 2nd video below. As the NY Times reported, this was supposed to be 'covert aid' to the Syrian rebels yet anybody following independent news knew about it. 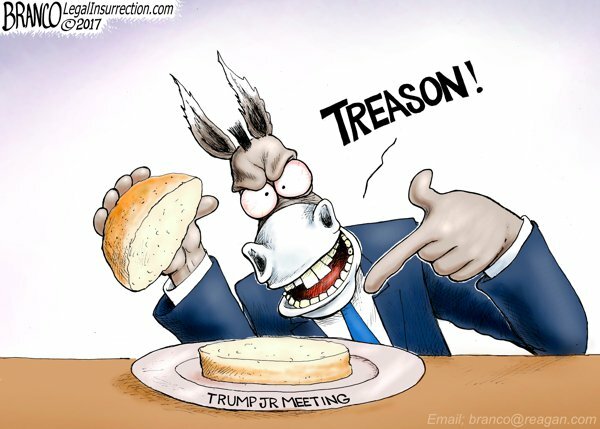 And while the Dems and msm call out 'treason' any time that another 'nothing burger' is served, it's easy to see that the only 'burgers' there are their own shadows. While Tulsi Gabbard's 'stop arming terrorists' bill in Congress got very little support, it turns out it didn't need any as President Trump has come out and shut them down anyways. While fake news the Washington Post reports 'this is a momentous decision, Putin won in Syria', we say the world won and common sense won as its not our place to determine what happens in Syria. 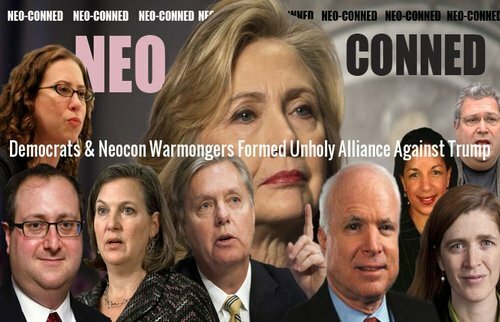 The mess that Syria became was clearly a 'new world order' decision, an Obama decision, a Hillary Clinton decision and a 'neocon' decision. What President Trump did yesterday was make a decision that helps to restore sanity to a world long in need of it. And yes, to the many who truly believed that the US would never arm the very rebels who are slaughtering people around the world and who long called such a statement 'fake news', Trump's move to end support to the rebels in Syria, to end what was once a 'covert program' that everybody knew about might come as a major shock. No more tinfoil hats needed, a 'conspiracy theory' confirmed. With it now quite obvious to those paying attention that for many, many years, there has been no real differences between most of the Democrats and Republicans who were clearly on the 'same team' but wearing 'different uniforms', the fact that Trump has almost single-handedly taken down both sides during the election, causing them to 'regroup' as Greenwald reports, while now shutting down an Obama-era program that armed our enemies shows 'winship' all around. And we shouldn't be surprised that the msm will label this a 'win for Russia' as they've long pushed the Russia narrative until they've left readers running for the hills. Yet as we hear from Ron Paul and we read in this new story from Jeremiah Johnson over at SHTFPlan, we shouldn't just expect them all to go away. As we hear in this 1st video, while President Trump isn't perfect, he's proven to us that he's a fighter for America and judging by the enemies he's made, it's clear his fight is real. From within and from without. Before our very eyes, we are seeing actions taking place both within the U.S. domestically and outside of it. The scripted plans were set into motion decades ago, and are seeing fruition now, with increases in activities leading toward the planned downfall of the U.S. The architects follow a very “Orwellian” pattern: it isn’t important who takes the reins of power, if that power is used to promulgate the continually leftward-moving paradigm shift and the continuance of power. These oligarchs are globalists who wish to remove the national boundaries except to use the governments in an administrative fashion to control the masses. First the U.S. Any country that has a Constitution such as ours that recognizes the rights of its citizens to be armed…. oh, that country has to go. They’re collapsing the economy, and shaping it to be more interdependent with Europe and the rest of the world. The President is under attack from every angle, as the Marxists force him up against the ropes, never able to come forth with an attack of his own. They are checkmating him at every angle. In the meantime, the policies of Obama are still in place outside of the country. We are still bolstering ISIS and trying to oust Assad in Syria (Written before Trump's recent announcement). The New Cold War is forming, and we have flashpoints in Syria, Ukraine, and North Korea that could lead to a war with the drop of a hat. If they can’t collapse it internally, they’ll attack the U.S. externally. Civil unrest, economic collapse, and an attack on the current administration are the vehicles used to promote the fall of the U.S. domestically. Warfare (initiated by a foreign nation or by the U.S.) is used outside of the country. Both use different approaches to work toward the goal of the United States coming to an end. Read history, especially Solzhenitsyn to see how this occurs. Before a nation comes to an end, its citizens are in denial that it truly has reached that point. The United States is in its final days, now. It will come to an end. Whether it remains that way and is absorbed by the NWO, or has a new beginning will be up to us. And while President Trump takes on left and right and globalists for America, we owe it to him to let him know that Americans will have his back in time of need. To express your support for President Trump and America, you can reach the White House via email here or call in at 202-456-1111. If interested, you can also contact your Congress people here.